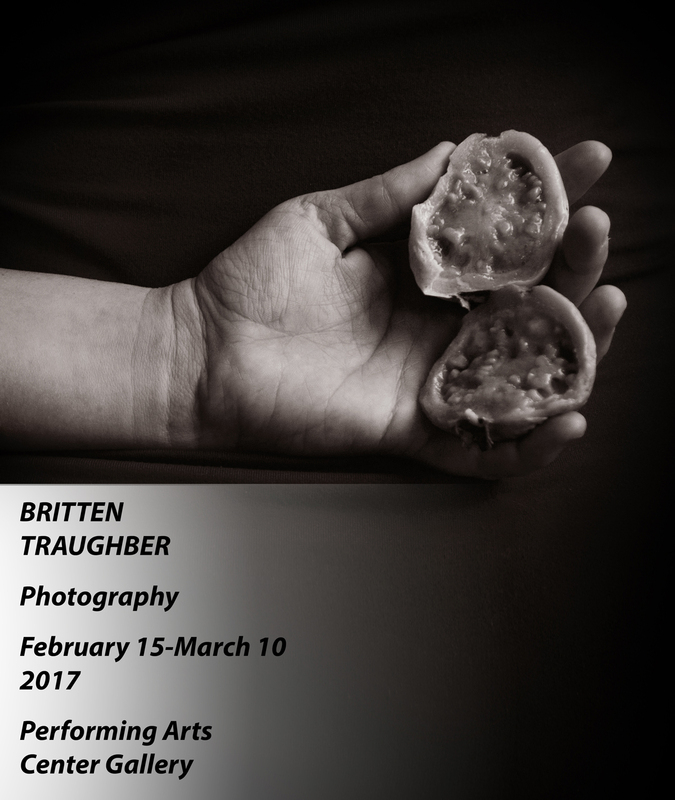 Britten Traughber is a performer and photographer based in Central Vermont. She is a graduate of Bennington College and received a master degree in photography with special honors from Illinois State University. Since 2008, she has taught photography and performance art at Millikin University, Illinois State University, Illinois Central College and the University of Hawaii-Hilo. Britten is currently the oral history coordinator for the Burlesque Hall of Fame in Las Vegas. Her work has been shown nationally and is part of many collections, including the Library of Congress. The gallery is also open during public events in the Performing Arts Center.